Hope to see everyone at the UMass Spring Game today at 4:00 pm. The weather looks cool but sunny by afternoon. 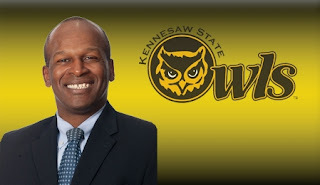 Temple, our erstwhile "rival" in the MAC East had a good day in the NFL draft as the Owls had picks in the first and second round. Boston College had one and UConn none. Temple's two picks are here and here. The Colts picked Villanova's Ben Ijalana as the first FCS pick. UConn's Paul Pasqualoni gives a report on the state of UConn football. Tomorrow is the Spring Game! The Spring Game starts at 4:00 pm. There are other events related to UMass football and the game. The UMass website has details. With all the Sturm und Drang from the move to FBS, even the athletic dept stopped giving updates on spring practice. I don't know about you, but I'm anxious to see how the team looks tomorrow. Matty V. has an article with quotes from Brandon Hill, who has been hobbled with an injured foot. Football has a design defect----the QB handles the ball on every play. Therefore, poor QB play has a disproportionate effect on offense. Unlike 2009, when we had QB problems all year, UMass now has five QB's on the roster. It would be nice if more than one of them looked sharp tomorrow. Hill, Bowling Green transfer Kellen Pagel and 2010 JUCO transfer Ian Shultis should be the top three. Probably the position UMass was hit the hardest in graduation was WR. Julian Talley should be the "X" receiver in 2011. It will be interesting to see where JUCO Chase Danska will line up. Will he be the "Y" or in the slot? Hofstra transfer Anthony Dima was listed as the backup for All-New England LG Greg Niland last year. Who will be in Niland's spot? UMass has had many FBS transfers. Some did nothing, some were average and some, after achieving little in their FBS careers, became some of the top players in nation with the Minutemen. Jimmy Moore (1998) and Brad Listorti (2006) come to mind. Pitt transfer Chris Burns does not have much return on his football career so far (31-78 1 TD). 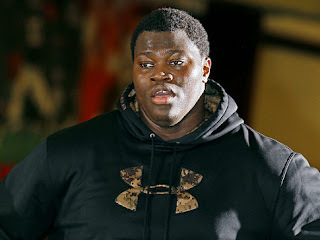 It will be interesting to see if he looks like he will make an impact with UMass. On defense, we have a whole new scheme. Usually, the 3-4 requires a 6-2 305 pd squatty guy at NT. In 2003 we had Indiana transfer Colin Christopher make All-A10. Do we have a guy like him on the DL? The 3-4 requires four LB's. We lost MLB Mike Mele to graduation. Courtney Jackson and Shane Viveiros have been moved to LB. With Viveiros out of the defensive backfield, we need to see who starts there. Mississippi transfer Ryan Campbell should help. Hope to see a lot of UMass fans tomorrow. The Amherst Bulletin and the Hampshire Gazette offer editorials supporting move to FBS. Both are thoughful pieces and are worth reading. Derek Gentile of the Berkshire Eagle weighs in on UMass' move. Scout.com reports UMass has offered to Jordan Washington, a 6-2 275 pd DE from Suwanee, GA. This article (scroll down) talks about him. Washington holds offers from MAC schools Buffalo and Central Michigan. He also has offers from Mississippi State, South Alabama and Southern Mississippi. Unlike some newspapers we could name, the Maine Kennebec Journal has a classy post about UMass' move and says Maine should stay in the CAA. The Boston Herald has some quotes about UMass' Tony Nelson, John Griffin, Greg Niland and Kyle Havens in the NFL draft. One of the OOC FBS teams mentioned for future UMass schedules is Brigham Young. BYU has already been selected (assuming they will be eligible) for the Bell Helicopter Armed Services Bowl. Mormons Vs Minutemen! I like the sound of that. Blog trivia: I might be related (probably distantly) to Mormon prophet Joseph Smith. My ancestors lived in Vermont for about four generations, covering the time he was active there. Speaking of bowls, the Fiesta Bowl is still the talk of BCS meetings. Ron Chimelis says you can question the plan, but not the motives. WWLP looks at the "home" field advantage. More pissy commentary from the Globe. A UMass fan tries to reason with the Sun Chronical's Mark Farinella. Some UMass fans with strong stomachs should reply to the Globe. Don't expect much response, however. Meanwhile, UConn says they are not worried. Craig Haley looks at FCS NFL draft prospects. He notes that FCS NFL draft numbers have been steadily shrinking over recent years. Last year there were 19 FCS players chosen. It looks like this year there will be even less. For a long time FCS schools, especially the HB colleges provided a steady stream of NFL talent. Probably the growing dominance of the BCS schools accounts for the talent decline in the rest of college football. More recruiting news tomorrow as UMass offers to a big LB. Rivals.com reports that UMass has offered to John Atkins, a 6-4 310 pd DT from Thompson, GA.
Atkins has offers from Georgia, Georgia Tech and Tennessee. UMass has a day of activities for Saturday's Spring Game. They'll be a open house at the new UMass football offices from 1-3 pm. The Spring game will be from 4:00-5:30 followed by a autograph session. The day will have several 100-Yard Club only events including a barbecue. Join the 100-yard club here. Matty V. says it's not ideal, but it had to be Foxboro. Matty points out that people gripping about the ride to Foxboro have been living in their own little world. "Anyone from a real college football hotbed is laughing at this. Its nothing for fans in Oklahoma, Nebraska, Texas and all over SEC country to drive several hours with those little flags on their windows for every home football game. It's part of the experience. A two-hour drive to Foxboro is nothing by comparison." Mrs Blog and I have been driving down from New Hampshire for a number of years. The Boston area alumni have been driving to Amherst for forty years. Many Boston area fans even have season tickets to basketball and hockey. Welcome to how the rest of the world lives. You knew the Boston Globe had to have a negative article about the move somewhere and Derrick Z. Jackson supplies one. He gets his facts wrong, but what the heck. The Boston Globe, as many long time UMass fans know, rarely strikes a positive note when it comes to UMass Athletics. The Globe has an editorial that, for them, strikes the usual ambivalent note: "Krafting a better UMass football team". Attleboro Sun "Good News for UMass and Foxboro". Sun-chronicle columnist Mark Farinella predicts failure and worries about traffic and hordes of drunken UMass students. CBS3 has coverage of the move. Ron Chimelis has more on the possible renovations to McGuirk and also mentions parking will be free at Gillette. A blog by "College Football Zealots" weighs in on the Minutemen's move. BTW, no January 1st bowl games this year. The UMass women's lacrosse team, who will receive additional scholarships from the UMass football move, completed their first ever undefeated conference slate. More CAA spring game recaps from the CAA Blogger. Some recruiting news tomorrow. It will be interesting to see when UMass gets it's first FBS recruit. The UMass Spring Game is seven days away and it's snowing briskly here in Jaffrey this morning. UMass football has new offices! Check out the story UMass website and the Youtube video. It reveals details of the renovations to McGuirk and the proposed new UMass field house. The new offices a big jump up from the current offices known by the players and coaches as "the bunker". Great start to UMass' move to FBS! Matty V. has more on the new offices. He says possible OOC FBS opponents include Florida, Virginia Tech, Texas A&M and BYU. MassLIve.com says UMass football must not move away. Central Michigan's AD Dave Heeke comments on the addition of UMass to the MAC (page 2). Thorr Bjorn talks about Rhode Island's move to the NEC. Moving down is not without its risks too. See this quote from the above article:"A similar move does not make sense at URI, where some people question whether it makes sense to play football at all." The Northeast Conference was 14th and last in FCS attendance in 2010 averaging just 2,343 fans/game. NCAA conference stats here. With those kind of numbers, you have to wonder if this is just a stage in a slow demise of Ram football. Matty V. looks at the upgrade's impact on the 2011 season. The Boston College Bog "BC Interupted" is against an annual series with UMass. My opinion has alway been there is plenty of media attention available for everybody. A good New England three-way rivalry between UConn, BC and UMass would good for all three programs. Granted, right now, it would benefit the Minutemen the most, but increased attendance at Boston College and UConn would benefit them too. My feeling is that for the average football fan, it's like pretty girls at a beach: more is better. BTW, SB Nation comments on the BC Interrupted blog post. "From a student fan-base perspective, one of the best parts of college football rivalries is having a victory of your buddies school. A healthy dose of Boston College, UConn and UMass football will create a much bigger buzz in the respective local markets." UMass' move is going to make ripples in the CAA. Two stories on the effect on UNH Football here and here. Old Dominion will not be interested in playing UMass during the transitional year. The UMass Daily Collegian has more on the move to FBS' impact on UMass' women's sports. UMass' arrival in the MAC will probably hasten the league's divisional realignment. Ball State's AD says UMass is a good pickup for the MAC. I'd do a minimual upgrade on McGuirk. The type and size of the stadium we might need in 2016 could be different than what we think we might need at this stage of the upgrade. UMass has the press release about the move to the MAC up including video of the entire press conference. The Boston Globe says Mr. Kraft rose to the occasion. The Boston Herald has UMass goes deep and move to Gillette boosts big time hopes. The national media has coverage including USA Today and ESPN. The Cleveland Plain Dealer says the marriage of UMass and the MAC is a winner----for now. Matty V. says UMass officials related that the move reflected a sober look at UMass finances. Matty reports on the potential impact on UMass women's sports. Chancellor Holub said the upgrade could not have happened if it were not for Gillette. The news caused a little grinding of the teeth in UConn land (read last paragraph). I'll have a lot more to say about the move and the future of UMass football in later blog posts. It's been a busy week here at the blog and I have not had time to write much in the way of commentary. Hope to have some thoughts ready to go by tomorrow. Lots of articles on UMass' move to FBS. Most of them are short on details, so don't be surprised if accounts differ. We'll know more later today. The Boston Globe says UMass lobbied hard to get into the Big East. The Boston Herald says UMass plans to upgrade McGuirk. MassLive.com says UMass will begin the transition by playing a mix of FBS and FCS teams in 2012. Matty V. probably has the most details on the move. 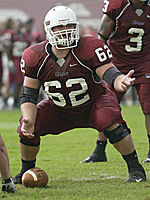 UMass would play a full MAC slate in 2012. He says UMass would not cut any men's sports or add any women's teams because of the move. The increase in women's scholarships would probably be absorbed by restoring rides in women's tennis, track, rowing and lacrosse. Matty has some more details on the MAC and notes UMass is a good demographic match for the current teams. He also talk about the challenges inherent in the move. Meanwhile, in Michigan, they're saying adding UMass makes sense. The official MAC media alert. Note in the comments some MAC fans are already interested in visiting Gillette. Again, I would like to advise not to get too worked up over details. This is just the start of UMass' journey. We need to make this work for any later long term goals to happen. Looks like we'll have a lot to talk about over the next couple of years. Enjoy the ride! 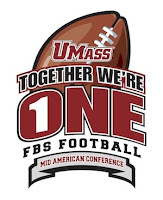 Multiple media sources say UMass will announce the move to the MAC and FBS level tomorrow at a press conference at Gillette. UMass website announcement. Watch the press conference tomorrow on live streaming video. Stub article from Matty V.
There are numerous other articles, but they are all basically saying the same thing. We'll have more details on the move later including details about games at Gillette. I feel this is just the start of UMass' move to a national athletic program. The Blog hopes to see a journey that will include financial stability for the whole UMass Athletic Dept, increased resources for UMass women's sports, football in a FBS conference w/a bowl game-------and some killer OOC football games against Big East and BCS opponents! Special thanks to former UMass star Brad Anderson for giving me a heads-up about Alex Miller being added to the staff at UNH. Miller joins the Wildcats' coaches after a stint with Oregon. The CAA blogger has recaps from the Delaware and William & Mary spring games. This article says the Villanova-Big East denouement may not come until summer. The NCAA as a new rule on taunting that has the potential to take points off the board. Boston College is this year's FBS game and the Boston Herald has a report from the Eagles' spring game. Frank Sousa of MassLive.com recalls John "Doc' Enos. John Enos won a letter in UMass football in 1957. Ron Chimelis has a story featuring UMass QB Kellen Pagel, who transferred to the Minutemen from Bowling Green. USC's Ed Oregeron on the benefits of morning practices. Josh Buchanan has the NFL buzz on a number of FCS players. The UMass website has a story about Guido Falbo being named offensive coordinator for RPI. The Engineers' website has the same announcement. Matty V. has an article quoting Mark Whipple that "UMass going FBS is the right move". Note that Miami plays its home games at Sun Life stadium now that the Orange Bowl is torn down. TSN's Craig Haley has two FCS NFL draft articles on offensive players and defensive players. It's been a tough Spring around FCS. Furman dismisses three players and suspends two more. And legal trouble for several Richmond players. UMass is interested in recruiting Anthony Arcari, a 5-11 185 pd RB, from Tewksbury, MA as both a track athlete and as a walkon for football. A story featuring Arcari here. Arcari will play in the June Shrine All-Star game. He was the MVC sprint champion. The UMass website has video and a report on the 6th UMass practice. MVP's of the session were Shane Viveiros, Jullian Talley, Emil Igwenagu, Stephane Milhim and Theo Agnew. 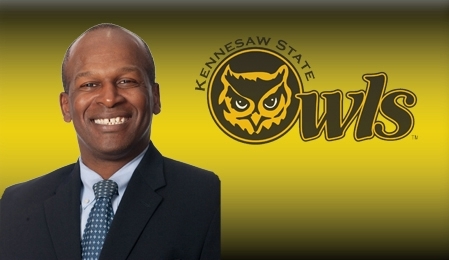 TSN's Craig Haley has the latest edition of his "In the FCS Huddle" column posted. The William & Mary Tribe thinks they will be pretty good this year. The Charlotte 49ers are ready to start recruiting their first football team. Nick O'Malley from the Collegian states his opinion. UCF is still waiting for the dominoes to fall at the Big East. A long time FCS blogger "Lehigh Fotball Nation" calls the Big East's moves on Villanova "a cruel joke". Meanwhile, the BCS system may trigger an anti-trust investigation from the DOJ. Remember UMass' bone marrow registration drive? A Rhode Island player donates bone marrow to save a life. OK, up here in Wells, ME I do have a pretty good wireless connection. No e-mail, however. The UMass website has a story with video on the 5th practice MVP's. The defensive MVP's were defensive backs Antoine Tharpe and Christian Birt. Tight end Rob Blanchflower and WR Tom Gilson were the offensive honorees. The CAA has released its official composite schedule. CAA teams play ten FBS teams and should have a shot at a couple of upsets. Rivals has the 2011 biggest FCS-FBS mismatches. More comment on the Big East-Villanova situation: one blogger says the "Philly media are already smearing Pitt and Rutgers." The Boston Globe says the Big East has growing pains. 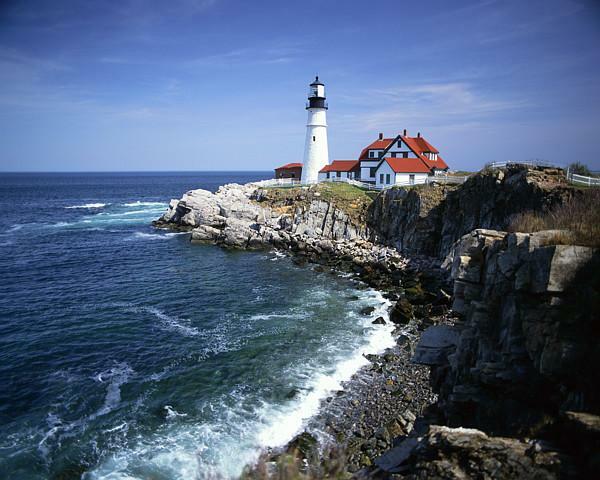 Blog News: Mrs Blog and I will be spending the rest of the week up in Maine. As usual, I will try to keep the blog going if I can. Should the blog fall silent, then I'm probably having trouble with the local wireless connection or my ancient laptop. I'll be back Sunday evening. MassLive continues with their coverage of UMass' potential move to FBS with comments from the students. UNH reveals future scheduling including a home-and-home with Rhode Island after the Rams leave the CAA. A Daily Press blogger has some thoughts about CAA teams difficult league schedule. A Giants blog named "Giants Gab" has a story on Victor Cruz. More speculation on the Big East's sudden cold feet about Villanova. An article on PPL Park, the proposed home for Villanova football. My feeling is that this is a lot like the Arab League supporting the "No Fly Zone" in Libya, confident that China or Russia would veto the motion, and then being flabbergasted when that didn't happen. Apparently, some Big East administrations were surprised when it looked like Villanova was poised to make the move. Those schools then were faced with the prospect of a small Catholic school with a very limited fan base and no stadium joining their BCS league----and didn't like the prospect. Bulletin, bulletin, bulletin: Villanova has delayed it's decision to join the Big East. This probably does not make the UMass brain trust very happy as there have been several scenarios floated about UMass' conference affiliation depending on Villanova's Big East jump. I would think this will further delay UMass' announcement. As I have said before, I don't think the Wildcats have the facilities, resources or fan base for a BCS conference. The UMass website has a story about James Ihedigbo being named NHF humanitarian of the year. The Herald News has a story about Greg Niland's quest for the NFL. Sports Illustrated takes an in-depth look at Delaware's Pat Devlin. The CAA blogger is running spring game recaps. First up is Richmond. New Hampshire has a new defensive coordinator. Green and White Report has a story on Vladimir Ducasse's off-season efforts to improve. TSN's Craig Haley looks at FCS NFL draft risers and fallers. The Richmond Spiders will hold their Spring Game today. More information about Tuesday's decision by Villanova on moving to the Big East. Matty V. has a feature on new UMass DC Frank Forucci. Some interesting stuff in the story. UMass will be switching to a "multiple" defense with a base 3-4. Wikipedia on the 3-4 defense. More than half of the NFL plays the 3-4. And its spreading in college football. I felt last year was an anomaly in UMass defense. With two rookie corners, I thought we played more of a "plain vanilla" defense to protect them. We should have greater depth in the secondary this year and that will allow us to do play more pressure defense. Knowledgeable college football fans know defensive linemen are the toughest position to recruit. The 3-4 helps with that problem. The UMass website has an article on former UMass player Tracey Belton who will be playing for the Georgia Force in the AFL tonight. Georgia Force home page here. VUHoops.com brings you more rumours about Villanova's proposed move to FBS. Tuesday April 12th is the decision day. The Wildcats move or no move could have a big impact on UMass' decision to upgrade. As long time readers of the blog know, I'm an amateur astronomer. Asteroid 4547 Massachusetts is at its closest approach to earth (1.794 AU) today. There is, as yet, no asteroid designated "UMass" Geez, do I have to do everything myself? Back on March 2nd I blogged about UMass offering to A. J. Doyle, a 6-2 226 pd QB from Boston. Roger Brown of ESPN has an update on his recruiting. Doyle has added an offer from Western Michigan and is receiving interest from Boston College. First spotted this story over on the Eagles blog " BC Interruption". Red Sox in talks for more hockey at Fenway". The article also mentions, and this is why I'm reporting it here, the Red Sox are also interested in a college football game. I think the turnout for the Colonial Classic is still reverberating in New England. 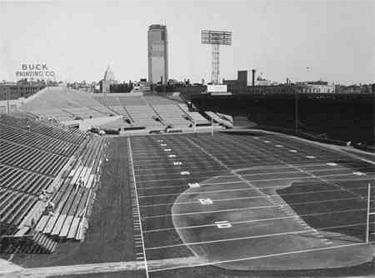 This website says besides six pro teams, Boston College, Dartmouth and Boston University have played at Fenway. Josh Buchanan's latest FCS NFL draft list. This story by the Phily.com about Villanova's Ben Ijana has several mentions of UMass' Vladimir Ducasse. I did a blog post on Williams back in 2008 that has a scan of Williams. He was a four year letter winner for UMass in 1988-91. UMass has added video interviews from third practice session. TSN's Craig Haley says Georgia Southern is loaded for 2011. Villanova's football booster club supports the move to the Big East. The Spring 2011 roster is up. Thanks to all the sharp eyed roster checkers who found some changes I missed. Tyler Holmes and Thad McCummings were named MVP's of UMass' third practice. McCummings is 5-10 210. Will he be UMass' starting fullback this year? The Daily Collegian has a story on UMass' Pro Day and 2011 football schedule. A couple of reports from the UMass website on spring practice. Last year the coaching staff started awarding a different colored practice jersey for the player who had the best practice in the previous session. Football practices are a grind and coaching staffs are always looking for something to keep interest up. Stephane Milhim and Brandon Potvin were honored for the first practice. Chad Hunte was the MVP of the second practice. One method of evaluating defensive linemen the the NFL draft uses is to figure out the player's impact in the games they played. That method is most effective if we knew the player's total playing time by snaps. Since we don't have access to that information, a crude estimate can be made by dividing the player's stats by number of games played. I did that for the 2010 UMass defensive line. The following would be much better presented in a grid, but Blogger does not have a table feature, unless you code html directly. The following gives games played-games started, TFL, sacks, pass BkUP, Forced Fumbles. I awarded one point for tackles, 1.5 points for TFL, sacks and Pass breakups. I made forced fumbles, which cause a change in possession, three points. I've blogged about Abner Logan a 6-2 225 pd MLB from Dexter School in Cambridge, MA twice before. 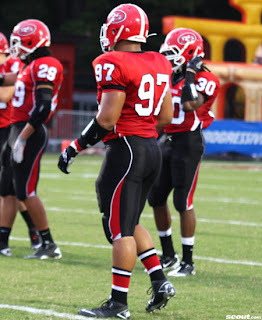 Roger Brown reports that he has received his first scholarship opportunity as Florida International has offered. Beside UMass and UMaine, Logan is receiviang interest from FBS schools UConn, N.C. State, Florida, Syracuse, Penn State and Rutgers. ESPN reports that former UMass QB Dave Palazzi will replace John Dubzinski as HC of Leominster HS. We've talked about Dave Palazzi in the past. Blog readers voted him fourth all-time UMass QB. He's still third in career completions (409) in the UMass record book. It's spreading. Central Arkansas to install purple and gray turf. In the sidebar of the blog is a link to scans of game programs from UMass football history dating from 1973 up to 1987 (so far). Ryan Dowgin, who was a walk-on kicker for Colgate, has a collection of game programs, tickets and other Red Raider material here. He has game programs from 88 of Colgate's 120 years of football. The Philadelphia Examiner says Temple's BCS future will be impacted by Villanova's decision to go or not to go FBS. As we have talked before, it could have a big impact on UMass too. Well, we're starting today with an April Fool's snow storm. The Daily Collegian has an April 1st article. Matty V. has a story about the start of UMass' spring practice. Freshman Brandon Hill and FR walk-on Jesse Hunt were nicked up and did not practice. JUCO Ian Schultis has switched to #12. Bowling Green transfer Kellen Pagel is wearing #10. Ray Pendergast wears #14. UPDATE: The UMass website has a video segment on the first day of practice. 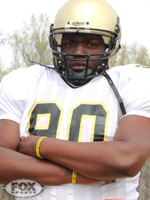 The Salem News has a story on former UMass DL Kyle C. Harrington who is playing for the Arizona Rattlers. Kyle's Rattler's bio. The scandal in the Bowls continued to widen yesterday as irregularities in the Orange Bowl and Sugar Bowl surfaced. BC Blogger "Eagle in Atlanta" tells how the Fiesta Bowl spent $65,000 on a trip to Boston to listen to a presentation by Boston College's Gene Defilippo. Appalachian State switches to the 3-4 defense. Former USC WR Bryce Butler is looking into transferring to Delaware or UTC (at end of link).